Olivia's 2nd birthday party is featured on 100layercakelet today! I definitely had fun dreaming this party up! The week of her party, we found out that a handful of people would be out of town and the other half were really, really sick. We went from 18 kids to 4.. including my two. C'est la vie! We decided to make it a family-only affair, but I sure did take the opportunity to decorate! I'm so happy Olivia has an appreciation for little details. She couldn't help but "meow, meow" all day! 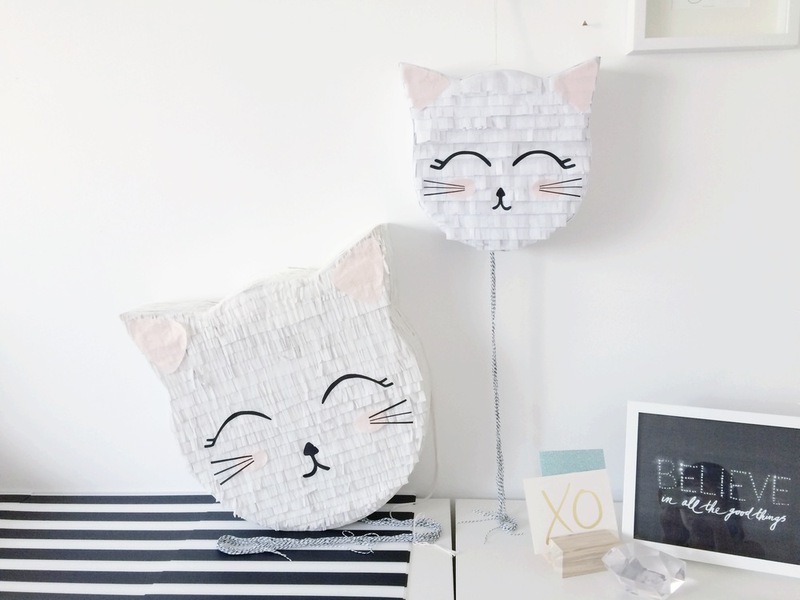 And there's also a tutorial for the kitty piñata!